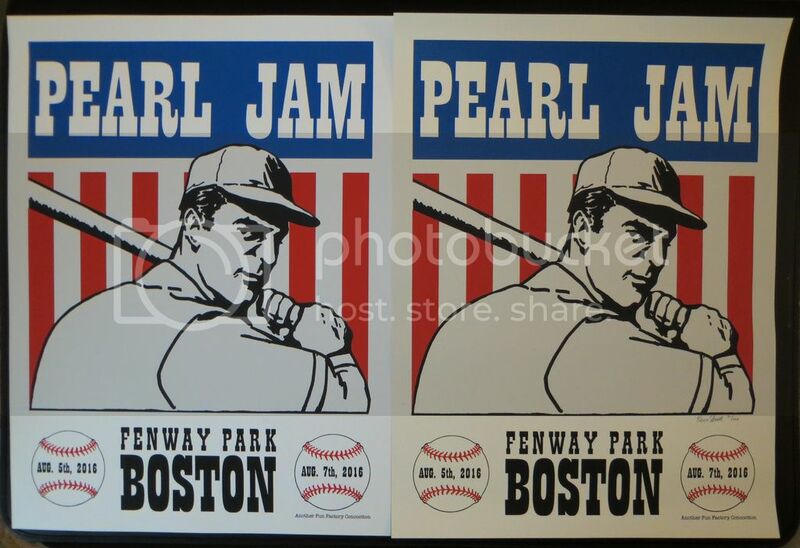 Discussion The Pearl Jam 2016 Poster Experience! 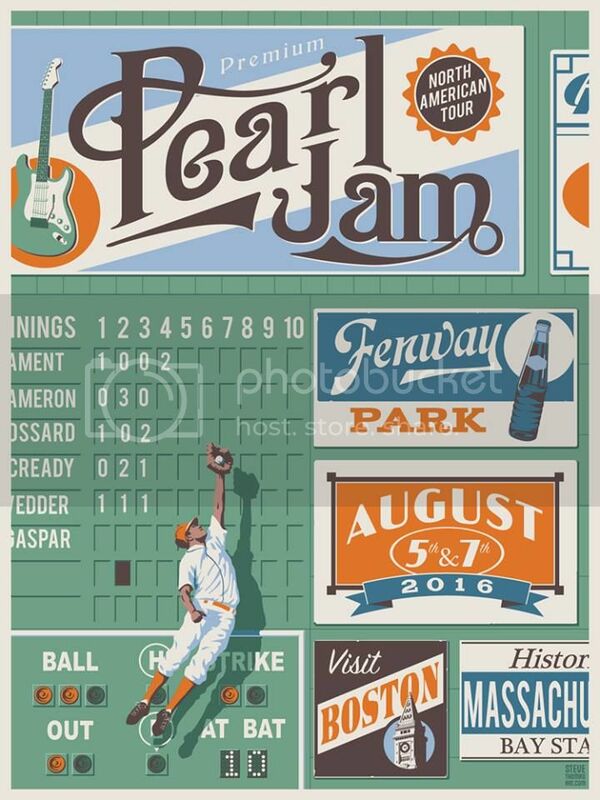 The Pearl Jam 2016 Poster Experience! Faile shipping by Fed Ex email just received. See Faile Variant shipment notifications. Any APs. Let's hope he avoids the shipping debacles of a few of the others. Don't worry, Faile will do a good job. Faile - two dudes, not one. Nice poster! So, let me get this straight...I have seen some variants where the poster has orange, however the player has a blue hat, blue pants, and a blue belt. The one you have posted looks like the one he had on his site. In other words, without looking through this thread...what the hell is going on here? This is the one Steve posted on his site. Looks like you got an variant of the variant. Still don't know why the player on the variant has the blue hat socks and belt instead of the orange like he showed on his site which actually doesn't exist as far as I know. Maybe somebody should ask him. ooops, and like you said...the hat is different as well. All white, except the belt. My eyes are playing tricks on me. But why just the orange belt? If it was all white, where the blue was supposed to be on the variants, I'd agree. Something odd about that one, it's not the one ski-bum received and posted pics of from Steve on here. Wonder if Steve had a few proto types made up, and sent it out as a replacement for a damaged one? 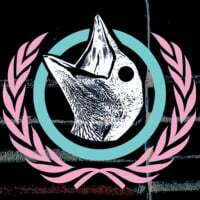 Anyone outside the USA receive a shipping confirmation from Faile yet on the variant? 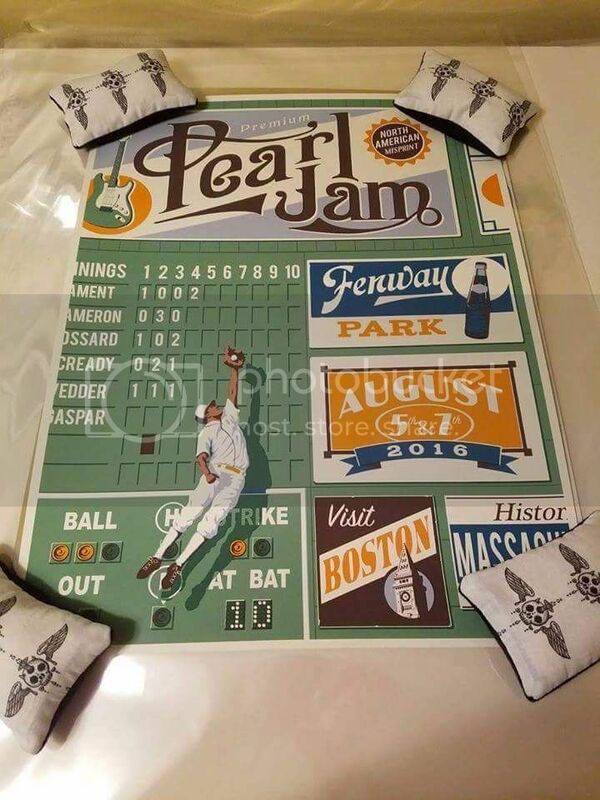 I'm 99.99% sure all #PJFenway orders have gone out. Let me know if you haven't received a shipping confirmation from PayPal(check your junk folders). Please reply with your name here. Guessing that your confusing Thomas vs. Taylor. Taylor never signs APs since he lives in Australia and has Mitch from Posters & Toys handle all his sales from the states. Oh Taylor does sign AP's. http://beyondthepale.com.au/?s=ken+taylor&post_type=product . Whatever he has in stock @ home in Australia, his copies are signed, sold @ Beyond The Pale. Though what I can remember his last onsale Pearl Jam release that was signed was his 2012 Isle of Wight compilation poster he did with Rhys Cooper. Ok I'll amend my post. 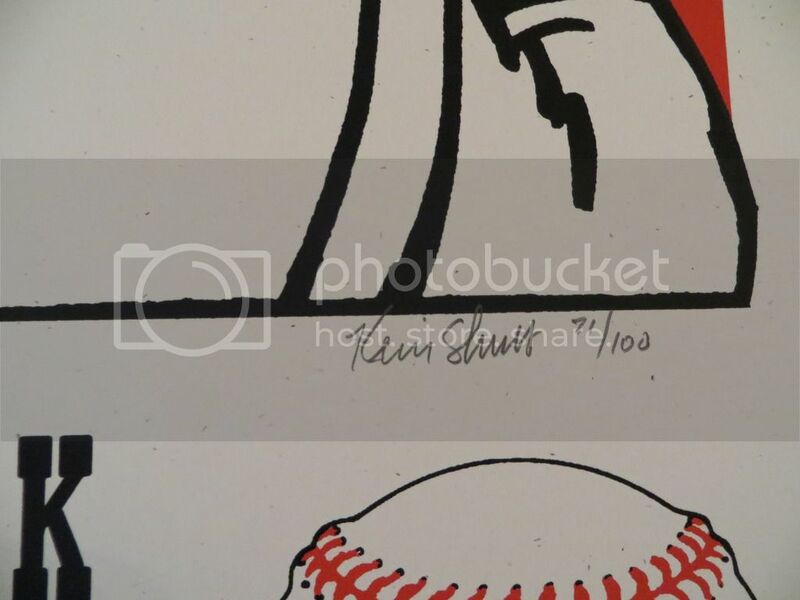 The overwhelming majority of AP prints by Ken for gigs and movies are not signed and sold through Mitch, especially in the last 4 years. Got the Shuss Fenway variant. It has an old time paper compared to the show edition. It's perfect for this poster. Show version on the left variant on the right. Close up of the sig. Notice the speckled paper. Received the Schuss variant today. 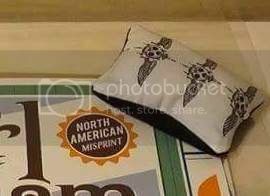 I don't believe the paper stock is any thicker/heavier than any of the others but the color is a touch different as mentioned above by Ski Bum. Looks good, fits with the design. Just leave the show version in the sunlight, it'll look like the variant in no time! So, who is the 10C member trying to flip a Shuss variant for $325? Just opened my Steve Thomas AP. Great condition. Looks awesome! I ended up with one of each. What's the reason(s) for wanting multiple copies of the same concert poster?